Joe Sventek is a Professor in the Department of Computer and Information Science at the University of Oregon. 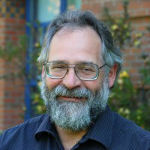 Prior to joining the University of Oregon, Joe was a member of technical staff, Lawrence Berkeley National Laboratory, Berkeley, CA; deputy chief architect, Advanced Networked Systems Architecture project, Cambridge, England; distinguished engineer, Hewlett-Packard Laboratories, Palo Alto, CA; director, Agilent Labs Scotland, Edinburgh, Scotland; Professor of Communication Systems, Department of Computing Science, University of Glasgow, Glasgow, Scotland; and Head of School of Computing Science, University of Glasgow, Glasgow, Scotland. Prof Sventek’s research focuses on two main areas: complex event processing, especially to aggregate real-time data from environmental sensors; and the Internet of Things, in general, and wireless environmental sensors, in particular. There is special emphasis upon making these technologies usable by non-computer scientists.